Zong, here on Thursday officially launched the latest IPhones 6 & 6 Plus to allow its valued customers to experience and enjoy the amazing speeds of Zong 4G LTE on these popular smartphones. 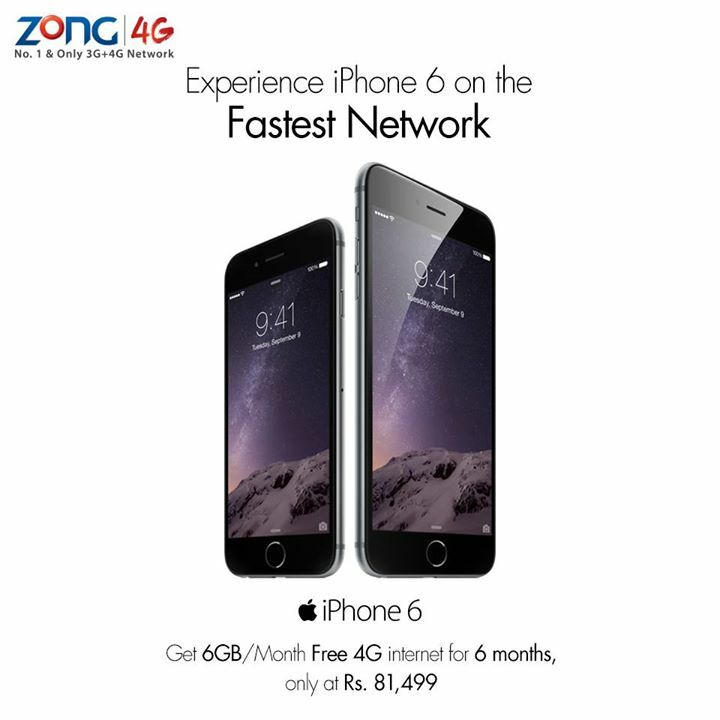 IPhones are premium LTE capable smartphones and hence form a perfect combination with speedy Zong 4G LTE internet. Zong 4G LTE is unique owing to not only its speed and efficiency but also its coverage, for it can be enjoyed in 7 major cities of Pakistan. This means that those purchasing this offer will be able to enjoy 4G LTE internet that is unparalleled in the market in terms of both speed and coverage. Currently, IPhone 6 and 6 Plus are available in gold, silver and grey colors with 16GB, 64GB and 128GB internal memory options. These devices can be purchased from Zong Customer Care Centres in Karachi, Lahore and Islamabad / Rawalpindi. It is important to mention here that Zong will also offer an IPhone plan for its postpaid customers soon. Indeed, its corporate customers should be expecting an equally attractive deal coming their way very soon. In this regard, Zong is making sure its valued customers are able to enjoy reliable smartphones and fast 4G LTE internet technology with maximum coverage to the fullest, a combination that no other telecom operator in the market has been able to offer.